Exciting news! 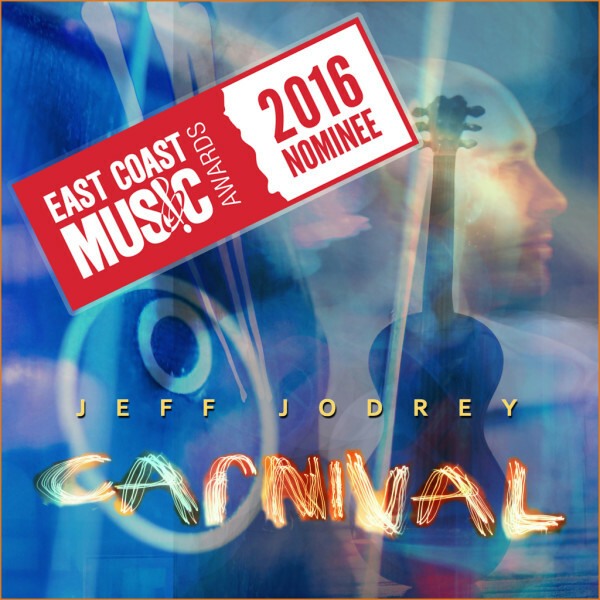 Carnival has recently been nominated for a 2016 ECMA for Traditional Instrumental Recording Of the Year! Nova Scotia-based fingerstyle guitarist Jeff Jodrey’s latest release Carnival is an acoustic carousel ride. While the ride itself takes you up and down, spinning stationary yet all around, this 9-track collection of melodic pop-flavoured instrumental guitar is transcendental. Engineered and produced by Jodrey and Juno-nominated, 8-time ECMA winner Cory Tetford, who also lends stunning electric guitar and percussion, the duo artfully crafted a kaleidoscopic easy-listening masterpiece. Carnival was recorded at Jodrey’s home studio Treefort, mixed and mastered at Tetford’s CTM. Available Now at iTunes, Amazon.ca, Amazon.com, and Google Play!